Kimonokyokomachi was established in 2004. We are pleased to offer many products in wide range of pricing and applications; special price for daily use or kimono beginners, high-grade for kimono lovers or formal occasions, traditional, modern convenience etc. Especially, kimono accessories(kitsuke products) and washable kimonos are arranged with cooperation of manufacturers so that many people enjoy a kimono. For daily use, working, classes, ceremonies, parties and so on, please enjoy kimono in various purpose and your styles. 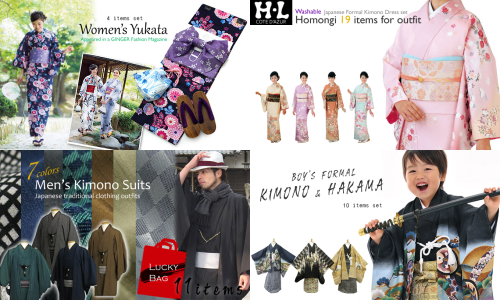 Kimonomachi offer many products such as kimono, obi, sandals, bags and miscellaneous items. There are some listing items on online shop.